Updated: 8:17 p.m. | Posted: 6:37 p.m. The Stillwater state prison remained on lockdown Thursday as officials offered new details of the violent history of an inmate suspected of killing a corrections officer. Joseph Gomm, 45, a Minnesota Department of Corrections veteran, was attacked Wednesday in a prison industry building. He was later pronounced dead at Regions Hospital in St. Paul. The suspect, Edward Muhammad Johnson, 42, was convicted of second-degree murder in 2003 and was serving a nearly 29-year sentence. He has not been charged in Gomm's death. Johnson was eligible for the prison industries unit, where inmates can learn carpentry, welding and other vocational skills, because he hadn't been a discipline problem recently, Minnesota Corrections Commissioner Tom Roy told reporters Thursday. Johnson, however, had a history of prison of violence that included about 1.5 years in segregation after a serious fight in which he lost an eye. He'd been out of segregation for almost two years and while he had not been "an exemplary inmate" he'd recently "come around," which allowed him to be part of prison industries, Roy said. Washington County Attorney Pete Orput, whose jurisdiction includes the Stillwater and Oak Park Heights prisons, vowed to "seek as much retribution as we can" in Gomm's death but asked the public for patience as investigators collect evidence and build a case. "All I can bring is an aggressive prosecution, and I'm bringing it," Orput said. "I consider those corrections officers heroic in what they do." He said he's handled cases involving about 150 prisoners at Stillwater and Oak Park Heights since he began as prosecutor in 2011, including prisoner-on-prisoner attacks and assaults against officers. "We're not dealing with the Sisters of Carondelet here," he said. "We're dealing with major offenders." Roy said Gomm was attacked with a weapon but didn't offer details, citing the ongoing investigation. "We have a very emotional department right now, he said. "We have people that are struggling who worked arm-in-arm, elbow-to-elbow with Officer Gomm." Johnson is currently housed at Oak Park Heights and is the lone suspect in the investigation according to a statement by the Minnesota Department of Public Safety Bureau of Criminal Apprehension (BCA). The BCA and the Bayport Police Department are investigating the incident. 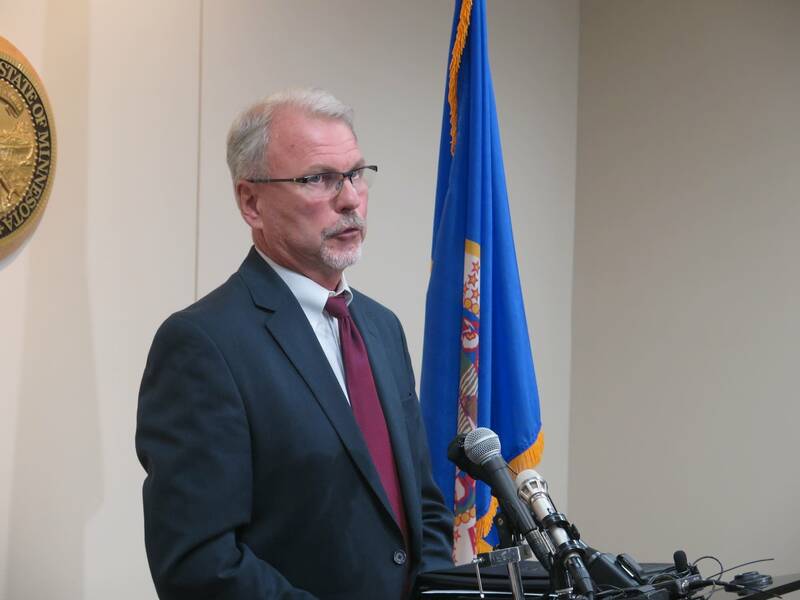 Preliminary findings from the Ramsey County Medical Examiner indicated that Gomm died of homicide due to blunt force trauma, the BCA said in a statement. Some Stillwater prison officers say privately they've been expressing safety concerns at the prison for some time and hope the attack on Gomm is a wake-up call to understand that serious changes need to happen to ensure the safety of corrections officers in Minnesota. One officer, who asked not to be identified, said many of his colleagues have felt less safe in recent years and that more officers are needed. He said one colleague quit Thursday morning and that he's considering the same if something doesn't change. Roy on Wednesday noted that four years ago, an analysis by the Minnesota Department of Corrections and the National Institute of Corrections showed the statewide prison system about 150 officers short. The commissioner said the Legislature hasn't approved money recently for more staffing, despite his requests. 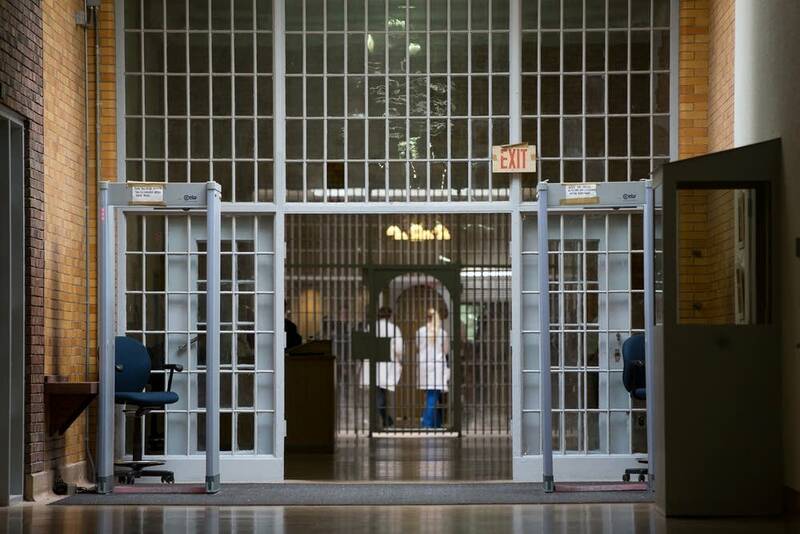 The union representing correctional officers said it's lobbied the Legislature for increased staffing and funding to help alleviate these shortages only to have them voted down. Roy on Thursday acknowledged that there is no absolute guarantee of safety for officers who work in prisons. But rejected criticism that Corrections Department leaders aren't hearing the concerns. "The notion that we don't care or that we don't get it is something that we push back pretty hard on," he said. "Everything we do relates to the safety of those officers."